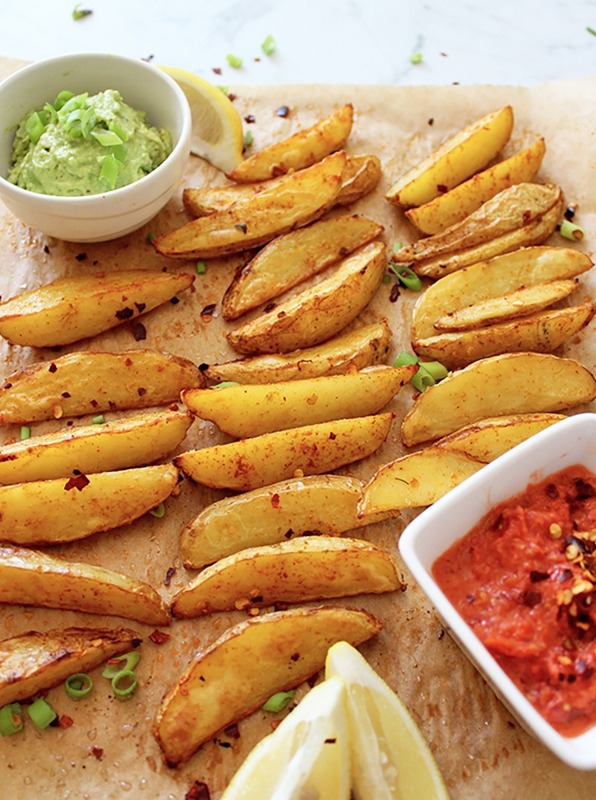 These potato wedges paired with avocado dip or tomato salsa or both just takes them to another level of yum. Not to mention healthy; this is a dish full of veggies disguised as something delicious, comforting and fun. 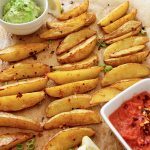 Baked potato wedges are one of my go-to foods when I feel like making something that requires a little less effort, but can still be spruced up quickly and easily with condiments and spices. Obviously you can go and buy dips, however, I found it’s not too much extra effort, tastes much fresher and radiates those ‘home-made with love’ vibes! 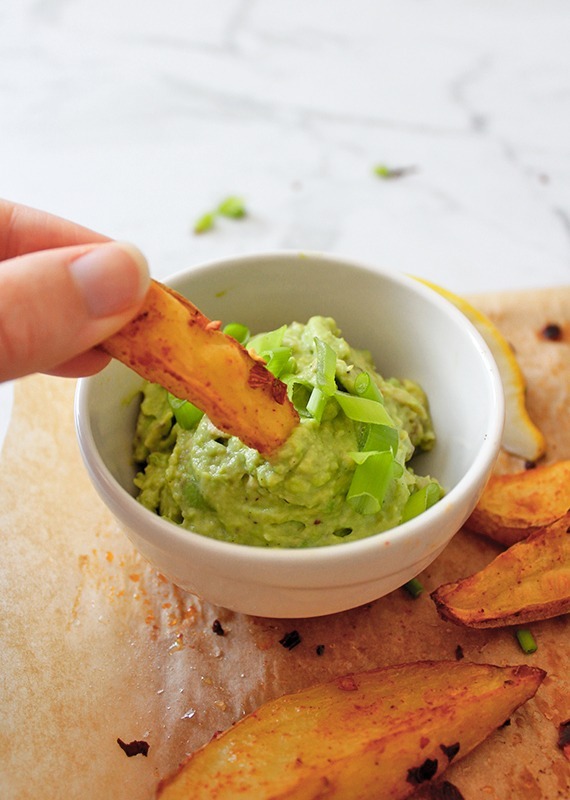 The avocado dip is super simple, requiring only a couple of ingredients; avocado (of course), a dash of lemon juice and salt and pepper. This is all blended into a smooth and creamy spread. To make the tomato salsa, similarly just blend together some cherry tomatoes, sun-dried tomatoes, red onion and chilli flakes into a chunky, fresh and vibrant salsa. If you’re after more easy and delicious lunchtime recipes, check out these walnut veggie burgers or this easy breezy hommus recipe! 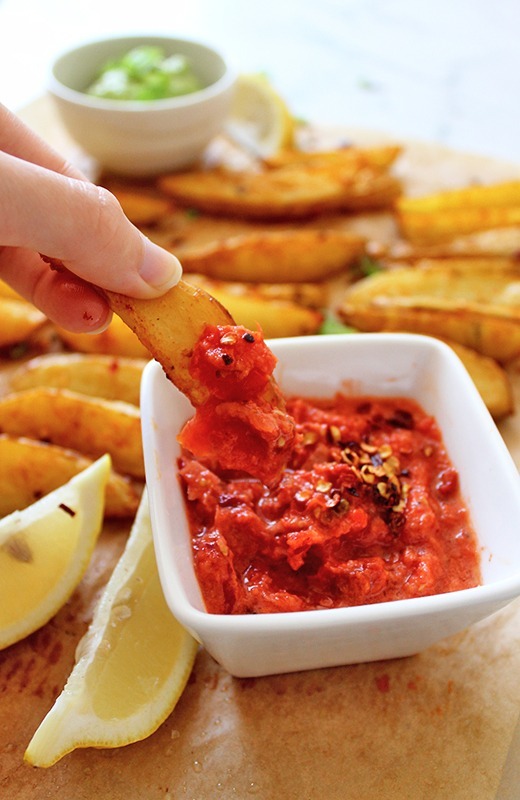 If you make these potato wedges with avo dip and tomato salsa, share your pics with me on Instagram, just tag me @lemonthy.me, I love to see your recreations! Also feel free, as always, to leave any questions, comments or suggestions below. Preheat your oven to 200°C (390°F) and line a baking tray with parchment paper. Peel the potatoes (optional) and cut them lengthways in half and then into small wedge shapes. Toss them in a bowl with the oil, paprika and salt, lay them onto your baking tray and pop into the oven for approximately 20 minutes or until you’re happy with how golden and crispy they are. While they’re cooking, you can start on the dips. Remove the flesh from the avocado and place it into a blender with the lemon juice, salt and pepper. Blend until smooth and creamy and place into a small serving bowl. Rinse the blender to reuse for the salsa. Now place in the cherry tomatoes, sun-dried tomatoes, red onion and chilli flakes and blend for significantly less time than the avocado. The salsa should still be a little chunky. Place that into another small serving bowl. 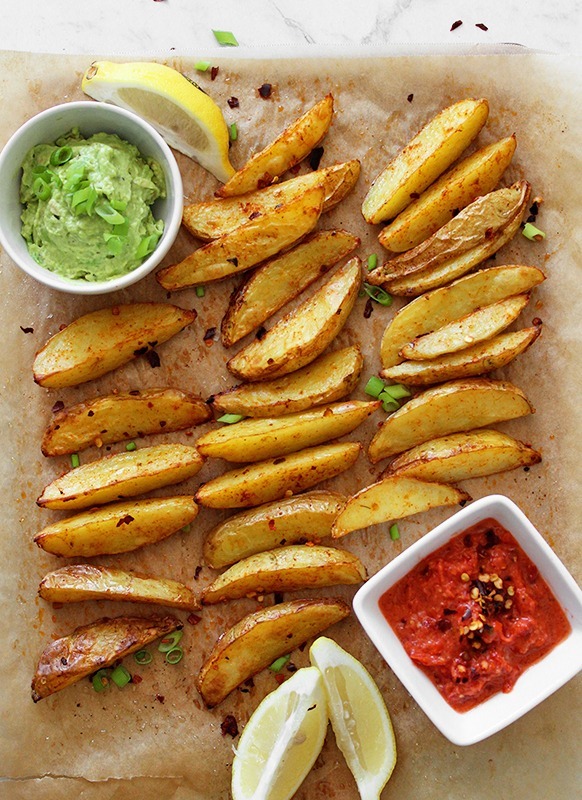 Pop your crispy baked potato wedges onto a serving dish or board with your avocado dip and tomato salsa. Sprinkle with more salt if you’d like, chopped spring onions and chilli flakes. Enjoy!